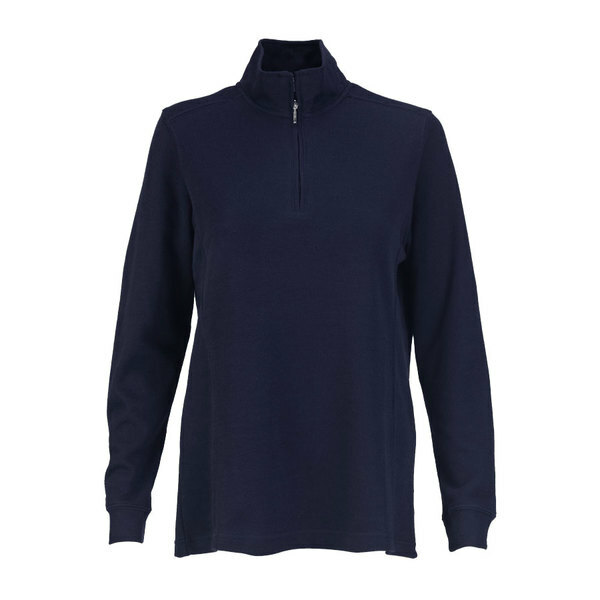 Design features include flat back rib body, stand-up collar, covered zip-neck, forward shoulder, front and back princess seams, self-goods cuff and open-hemmed bottom. Made of 60% cotton/40% polyester. Chest/Bust 34-35" 36-37.5" 38.5-40.5" 41.5-44.5" 46-48.5" 50-52.5"